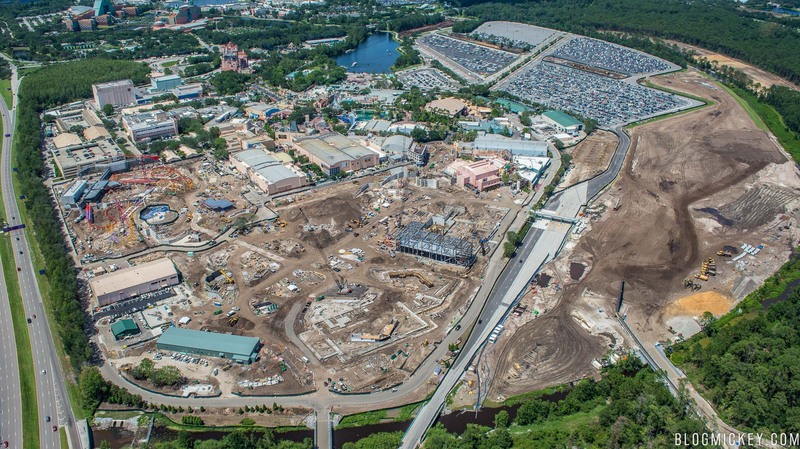 With the exciting new construction of Toy Story Land and Star Wars Land at Disney’s Hollywood Studios, there will be an increased need for more parking. 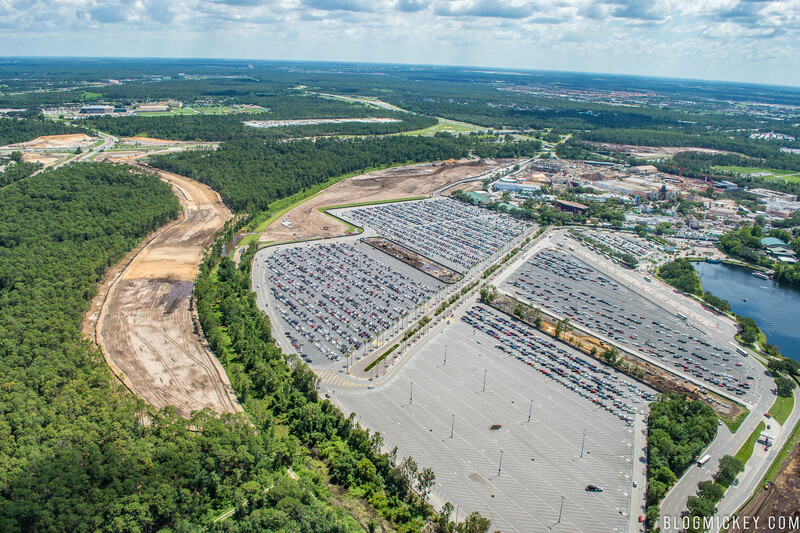 Disney is well underway on construction planned to expand the current parking lot and even introduce a new entrance to the expanded parking lot. We recently took to the skies to check out the work being done. 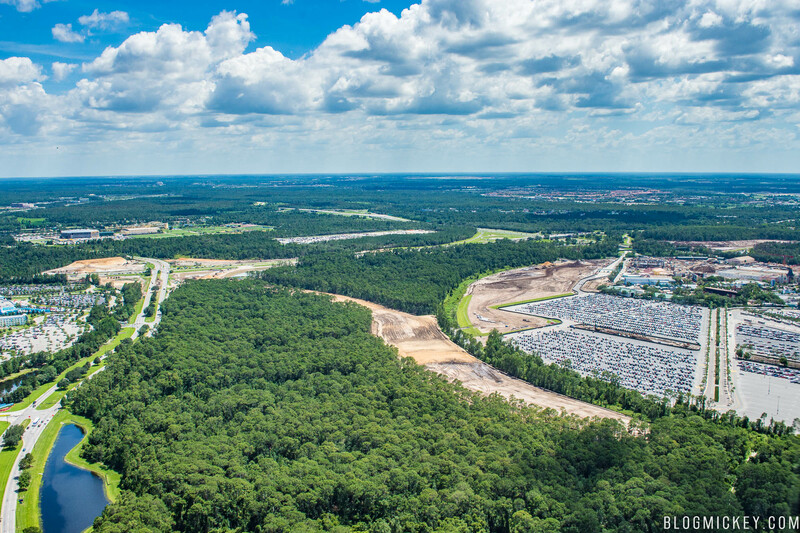 This first look is from about 800 feet above Victory Way, looking towards Osceola Parkway and the ESPN Wide World of Sports complex. There is a new interchange visible in the distance on the left-hand side of the photo. That’s the Victory Way/Osceola Parkway intersection where guests will enter the expanded parking lot, according to permits. Moving closer to the current parking lot, we can see a slightly more defined clearing for the new entrance. We can also see a cleared area adjacent to the parking lot. This area is permitted to be the expanded parking lot. 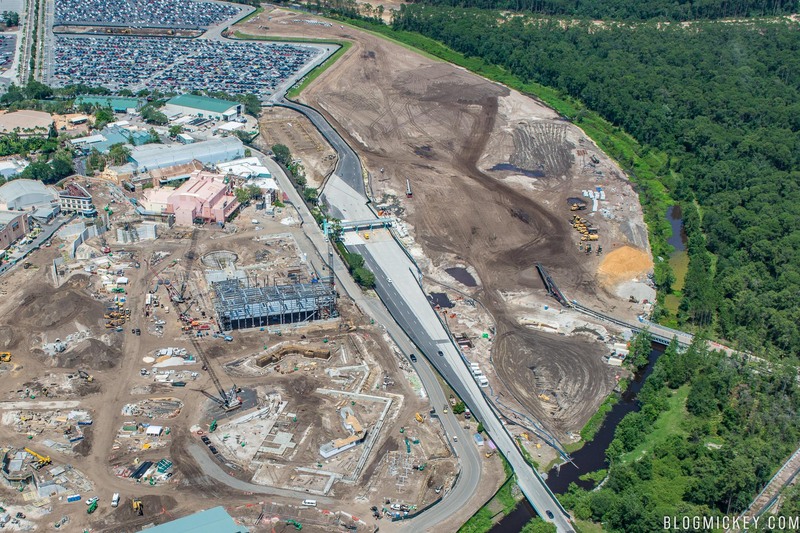 Adjusting our view allows us to see Star Wars Land to the left of the current toll plaza and entrance road, and the expanded parking lot site to the right. 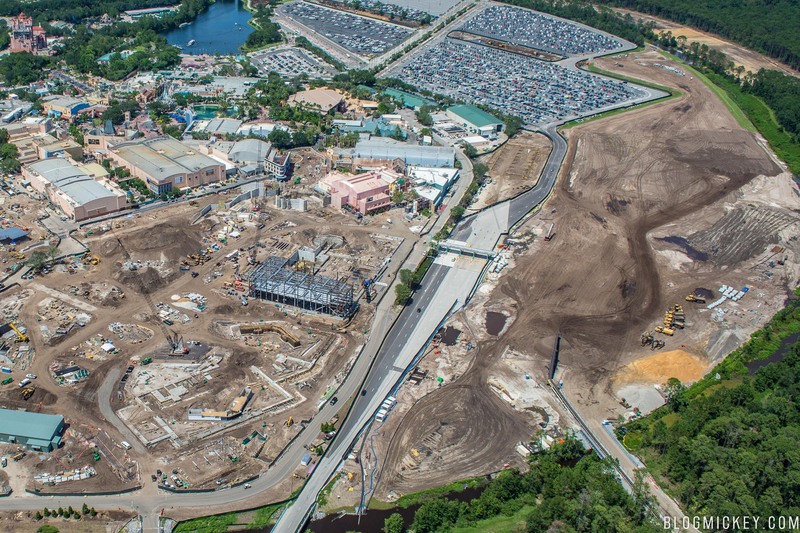 This wide shot shows both the Toy Story Land expansion on the left, Star Wars Land in the middle, and the parking lot expansion to the right. 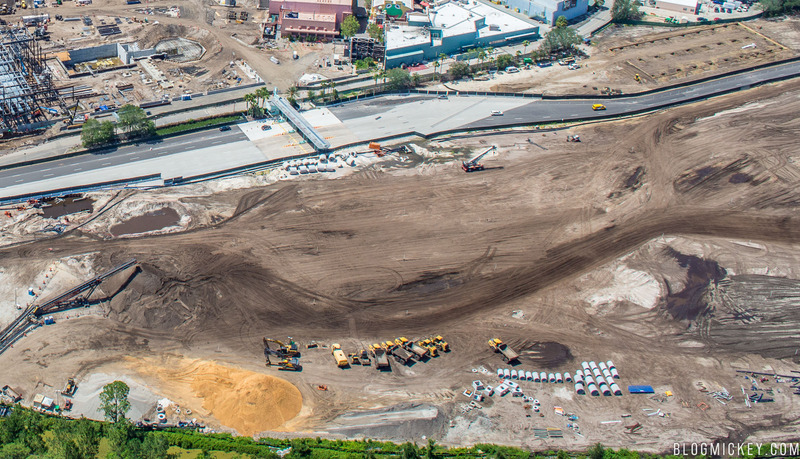 This should help show the scale of the parking lot work in relation to Disney’s Hollywood Studios. While it was difficult to show on camera, there appear to be objects sticking out of the dirt at regular intervals. You can also see that construction is just starting on a new backstage building in the upper right of the photo. Disney hasn’t given a timeline for the project, but Toy Story Land is expected to open in 2018 and Star Wars Land will open in 2019.